What Could Your Leader Do? I know I am lucky to have smaller class sizes. That the behaviour of my students is nothing compared to other schools. That I should be thankful that students have some access to technology. None of this actually helps to move things forward in and of itself. It reminds me of the teacher who complains to students about a failed lesson because they put hours into preparing it. I don’t want to know how good I have it, I want a vision to aspire towards, to drive me forwards. It is one thing to be aware of what is going on in the school. However, to feel supported, I want leaders to be more than aware. I want them to ask questions? To have some understanding of the intracises involved. I do not expect them to be able to replicate everything that I do, but I would like them to have the appreciation and awareness to be able to provide meaningful feedback and advice. I am aware that much of what schools get measured on comes back to literacy and numeracy, however this fails to recognise the importance of other learning. Actually, not ‘other’ learning, rather learning as a whole. Coming back to the question of vision, why do we do what we do. I am happy to have a guaranteed and viable curriculum, but what is it guaranteeing? Are subjects such as music, science, the humanities and languages important? Why? What are they trying to achieve? Content knowledge? College readiness? Citizenship? Whatever it is, how is this at the core? Richard Olsen touches on the dilemma of learning here. So what about you? 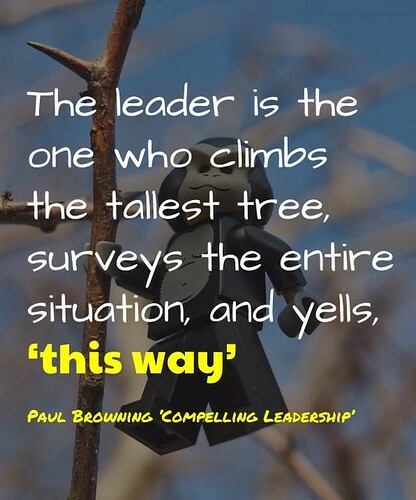 What could a leader do to support you and your professional growth? As always, comments welcome. What Could Your Leader Do? by Aaron Davis is licensed under a Creative Commons Attribution-ShareAlike 4.0 International License.